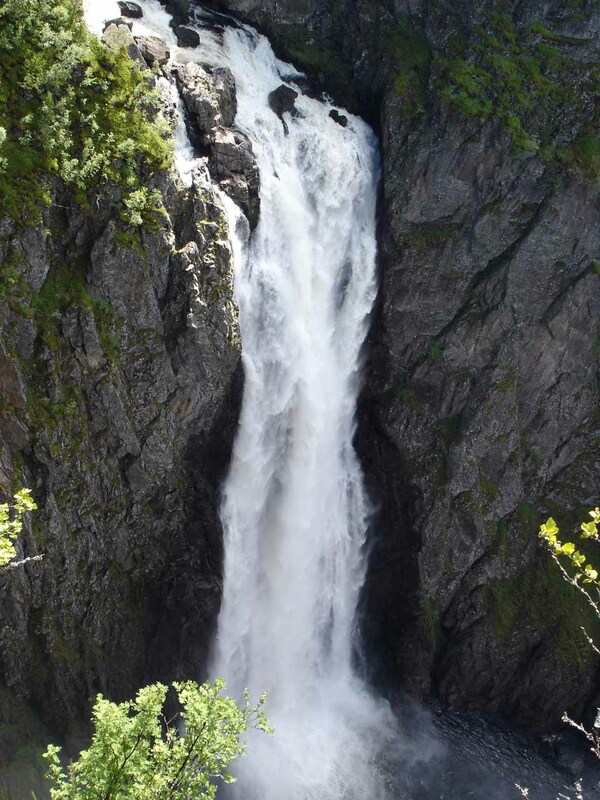 Voringsfossen (Vøringsfossen; I think is pronounced “VEWH-rings-foss-un”) was definitely one of the waterfall highlights of our visit to the Eidfjord Municipality. 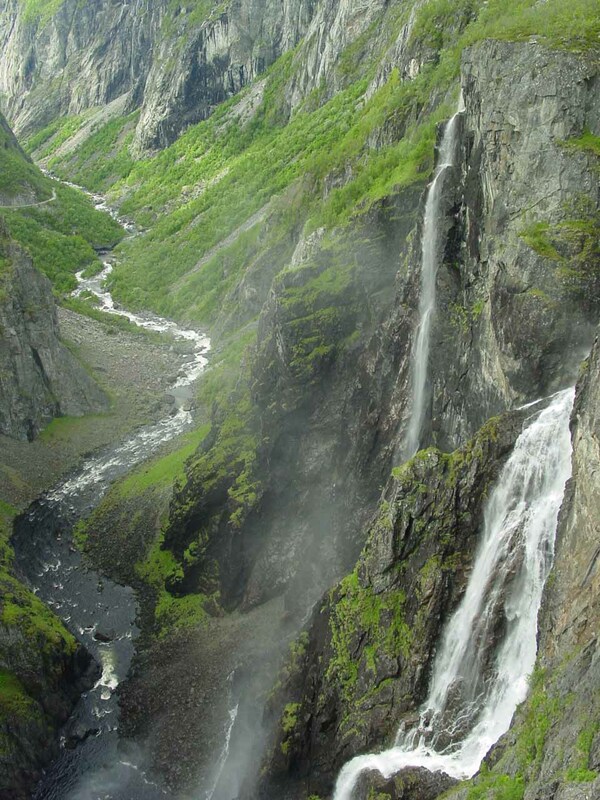 The falls dazzled us with what appeared to be converging waterfalls at the head of Måbødalen Valley (probably pronounced “MOH-bewh-dal-un”). 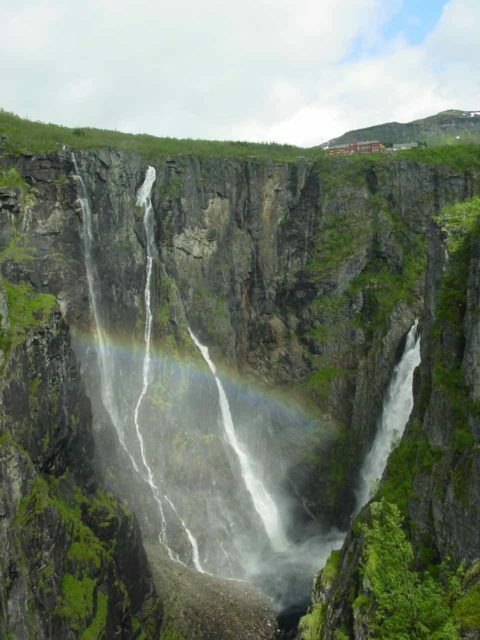 The tall and converging waterfalls produced afternoon rainbows that further decorated the scene. 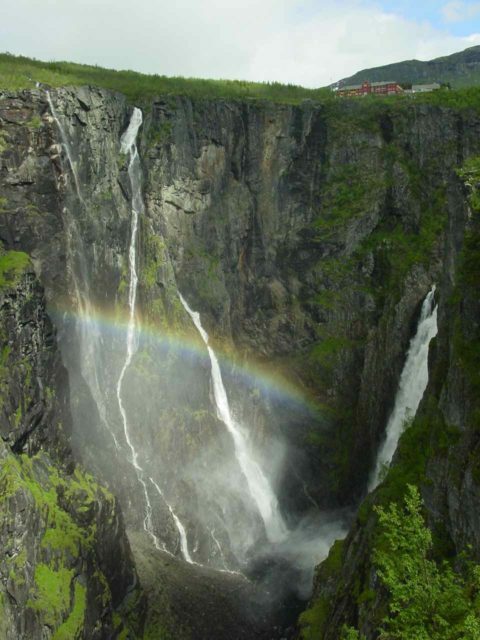 Indeed, after our visit in June 2005, we could totally understand why we shared this waterfall with multiple tour groups and many other independent visitors. In fact, I had to believe that this was one of Norway’s most famous and popular attractions. 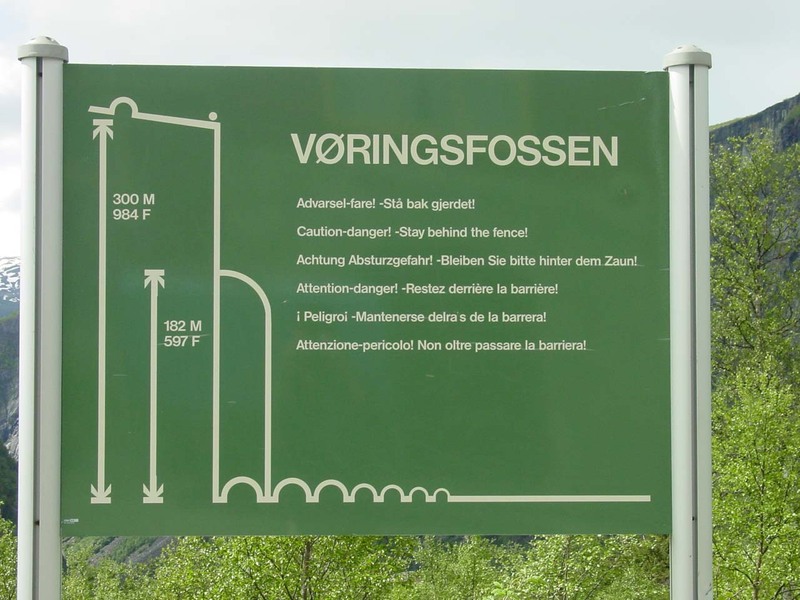 Even though I tended to think of the entire convergence of waterfalls as Vøringsfossen, it turned out that the name really pertained to a gushing drop of the river Bjoreia (said to be 182m high according to a sign here though our book said it was 149m tall). 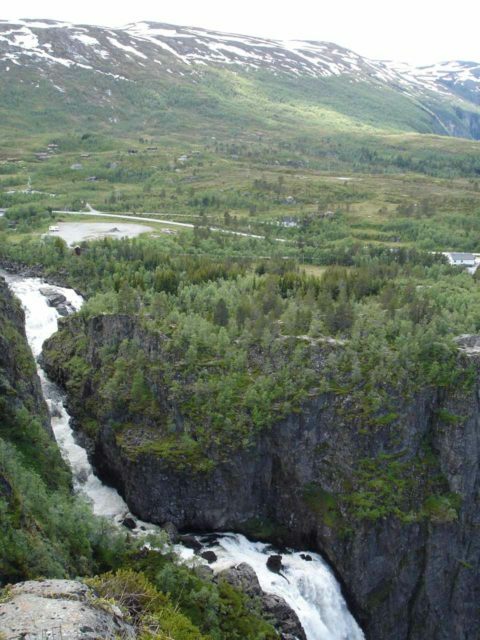 Julie and I were actually surprised when we learned that the Bjoreia River was regulated, and that the main waterfall would only be allowed to flow between June 1 and September 15 (i.e. the Summer tourist season). 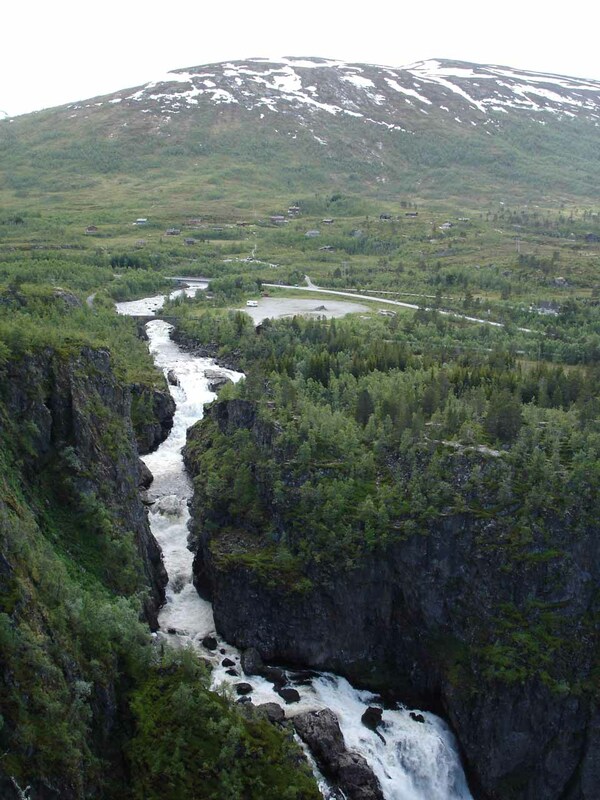 The rest of the year, the river would be diverted for the purposes of hydroelectricity. In a country where it seemed like just about every big waterfall was regulated, I suppose that this was a fair compromise especially considering how other waterfalls have fared in the country. 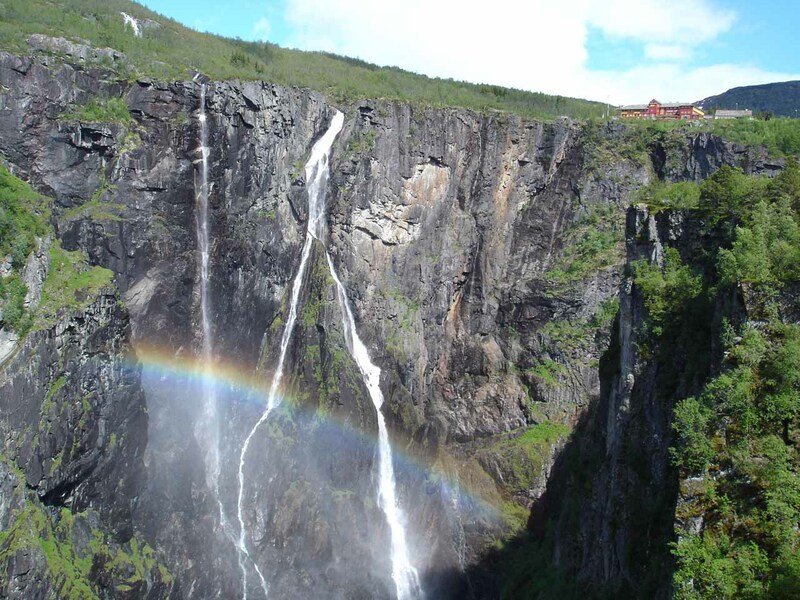 For example, if we looked at the way Mardalsfossen was handled compared to say Mongefossen, we could see that at least the former was allowed to be enjoyed even in its compromised state. Meanwhile, the latter was nearly completely sacrificed altogether. In my mind, it was probably better to have something than nothing at all. 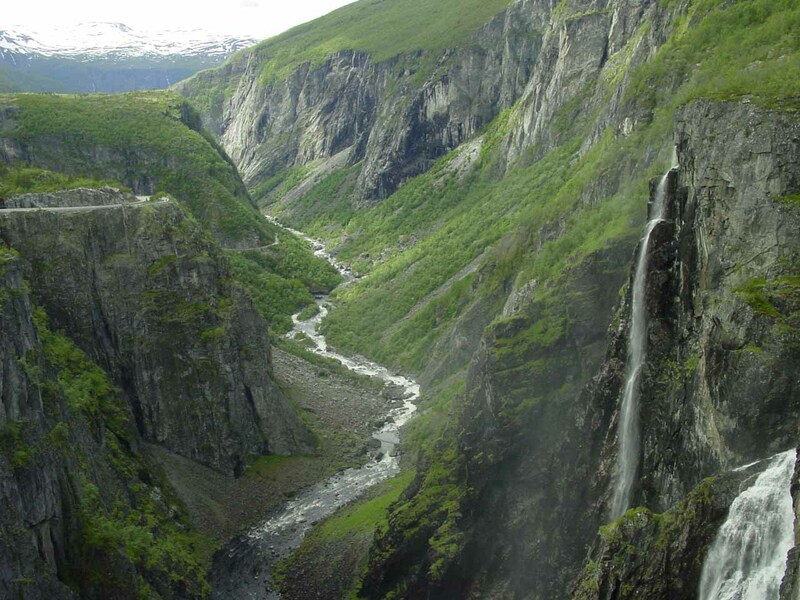 We were able to experience Vøringsfossen from two different perspectives, which we’ll get into separately below. 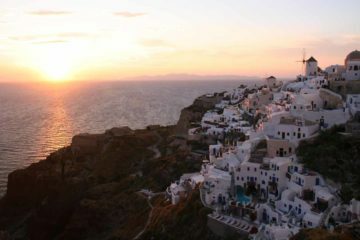 We felt each viewpoint was spectacular and we highly recommend doing both even if it means paying twice for car parking. 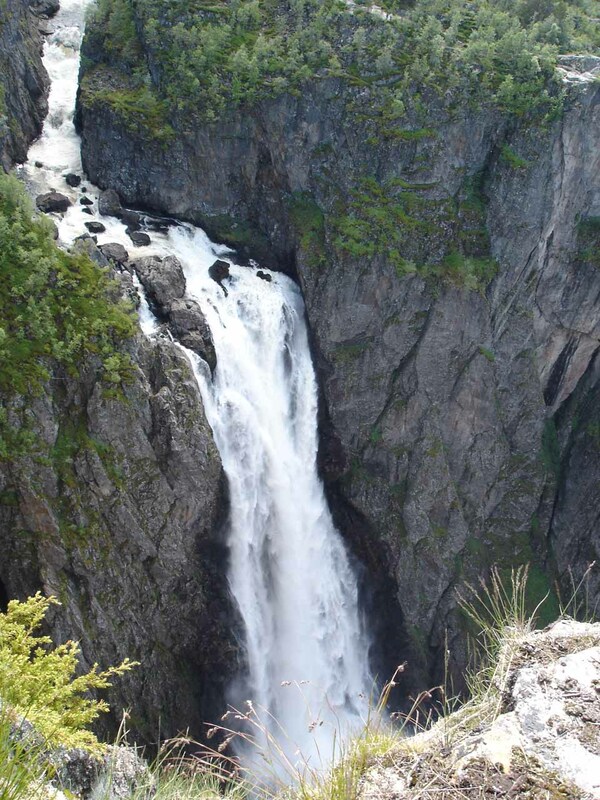 Since we were able to experience this waterfall from two main viewpoints (at what I’m calling the “Lower View” and at the Fossli Hotel), I’ve decided to describe each section (and its directions) separately. 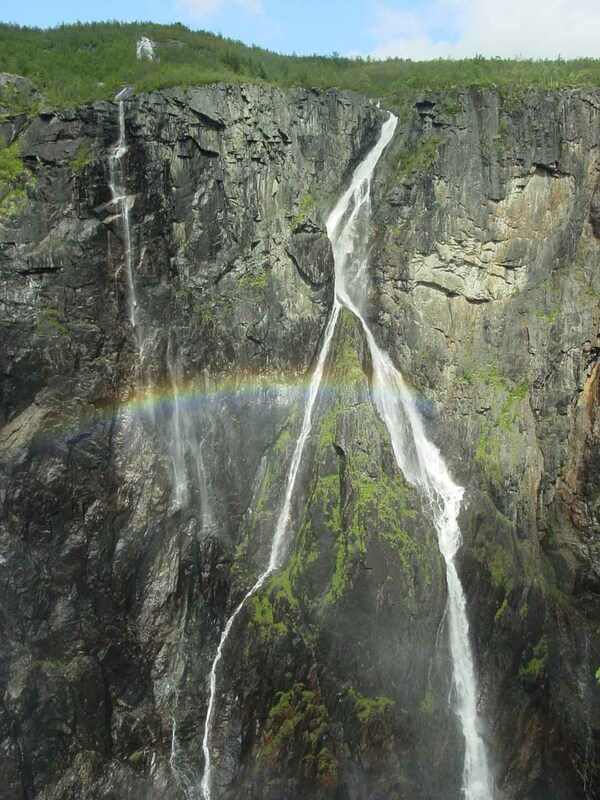 That way, we can paint a clearer picture for you about the experience and the logistics of a visit to Voringsfossen. It was right off the north side (on the left as we headed east) of Rv7 probably around a kilometer or so east of the last of the roller-coaster-like tunnels. We had to pay a toll to park at the car park here before leaving the car. 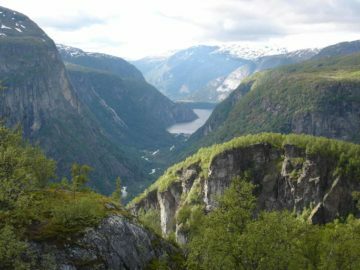 From the car park, we had a choice of walking the paved paths along the Rv7 towards an often-crowded overlook where we looked right towards the head of the gorge of Måbødalen. 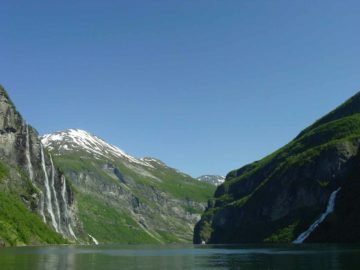 From this vantage point, we could see both the Tysvikofossen on the left as well as part of the main drop of Voringsfossen. 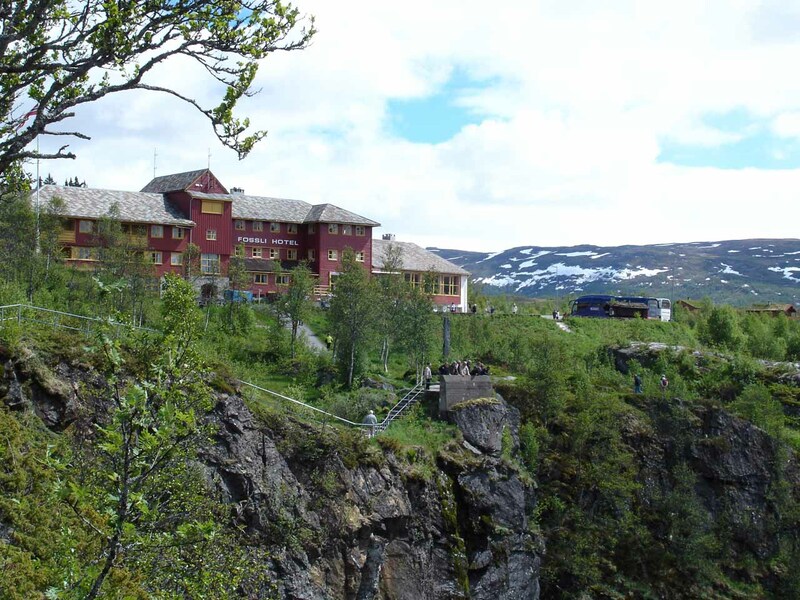 Perched atop the cliff at the head of the gorge was the Fossli Hotel, which gave us a sense of just how tall these waterfalls really were! We happened to show up in the late afternoon on a mostly sunny day so the mist produced by the converging waterfalls yielded a rainbow that further added to the scenic allure of this viewpoint. Near this overlook, we noticed there was also a little train station for the so-called troll train (trolltoget [“TROLL-toh-guh”]). 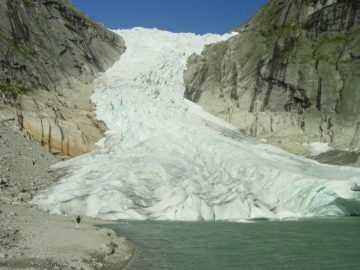 We didn’t go on this ride, but we understand that it would bypass the road tunnel we took to get here and allow riders a chance to see more of the young Måbødalen (said to be created shortly after the last glacial retreat from the most recent Ice Age). We don’t know if there was a way to get to the bottom of the gorge safely or if the train would offer something like that. Julie and I also did a little exploring closer to the car park where there was a series of seemingly informal trails leading right up to various cliff-hanging views (without rails). 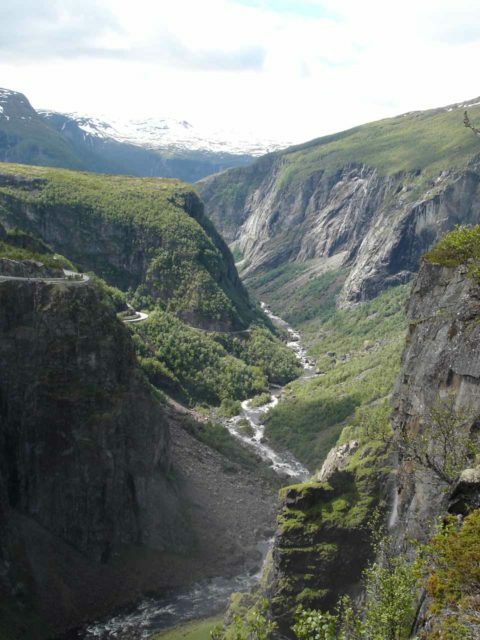 These spots gave us a very in-your-face view of the south-facing cliffs as well as the strandy Tysvikofossen. 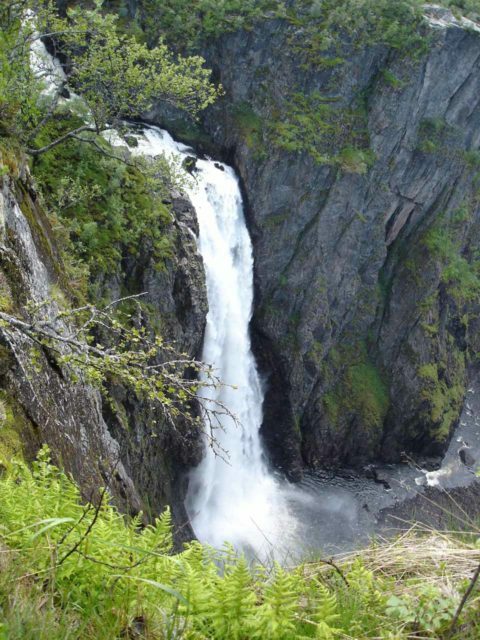 We definitely were hesitant to get too close to the cliff edges given the vertigo-inducing drop offs here. So our photos tended to have obstructions from the ground by our feet. About 1.1km further east on the Rv7 from the car park for the “Lower View,” we then turned left onto a signposted country road, which in turn led us to another left turn after another 640m or so. At the end of the road after the second left turn, we were then at the car park for the Fossli Hotel. Again, there was an attendant collecting car park tolls, which we had to pay though I don’t remember how much we had to pay. 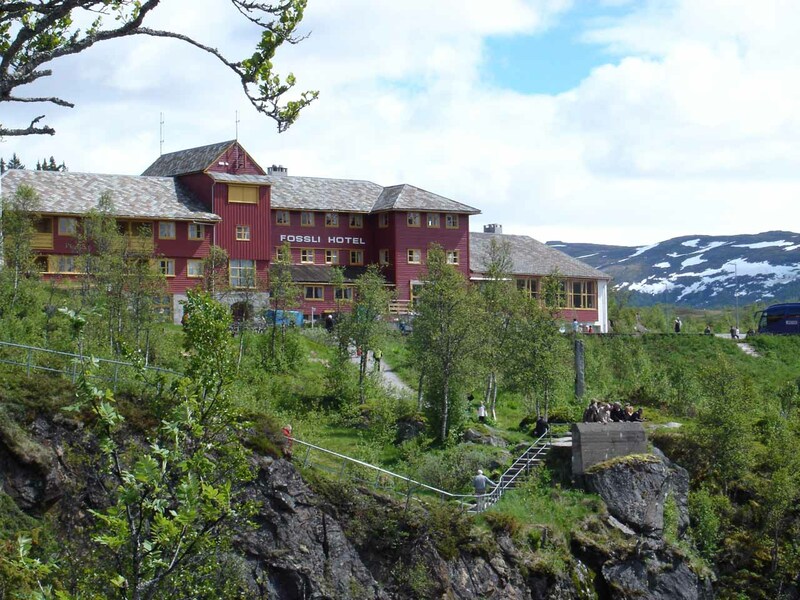 Once we parked the rental car and walked past the Fossli Hotel on a developed path, we then found ourselves at a series of viewpoints with railings looking downstream right into Måbødalen. 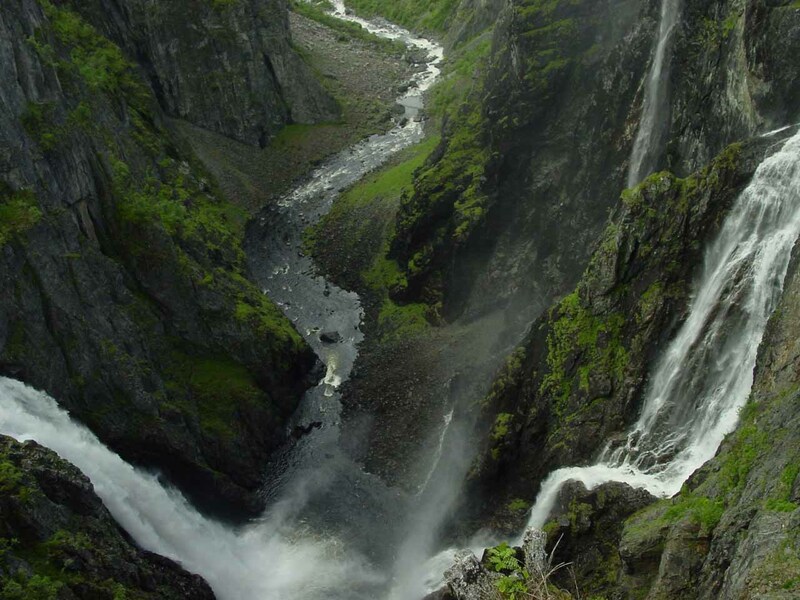 From this perspective, we were able to look down at the entirety of the main Vøringsfossen itself (as shown in the photo just above). We were also able to continue walking along the perimeter of the precipitous cliffs where the guardrails disappeared and we had to be very cognizant of the cliff exposure. We didn’t go very far along the cliff rim so we can’t say more about where the path would ultimately go. I didn’t recall if we didn’t make it far because the path dead-ended or if we opted not to continue walking probably towards the Tysviko stream. In any case, this vantage point was just breathtaking, and we could also better appreciate the steepness and context of the Måbødalen gorge as the river Bjoreia continued cutting into the young valley. 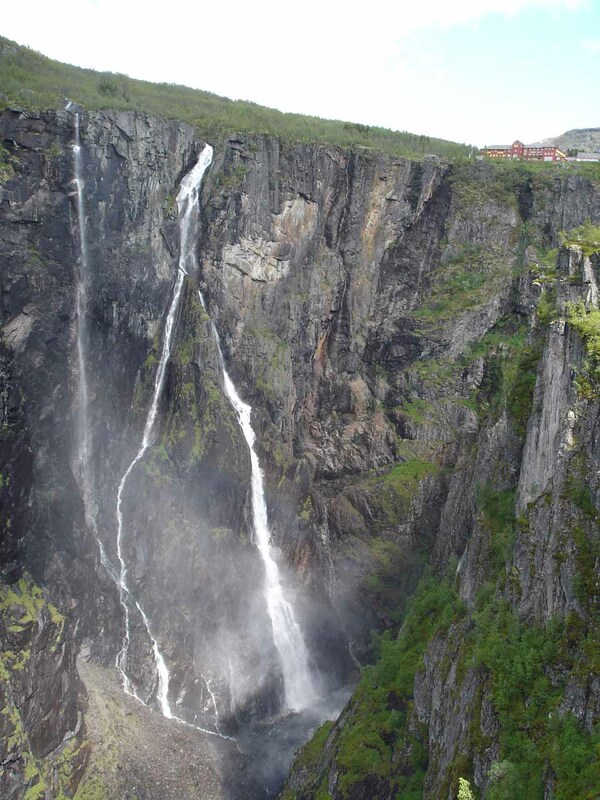 Voringsfossen resides in the Eidfjord Municipality. For information or inquiries about the area as well as current conditions, visit their website or Facebook page. 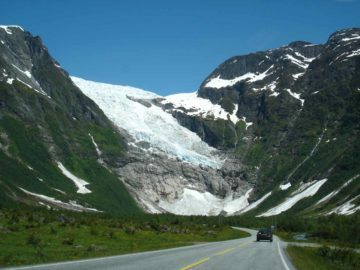 As for getting to general vicinity of the falls, we drove the Rv7 east from Eidfjord for about 17km. 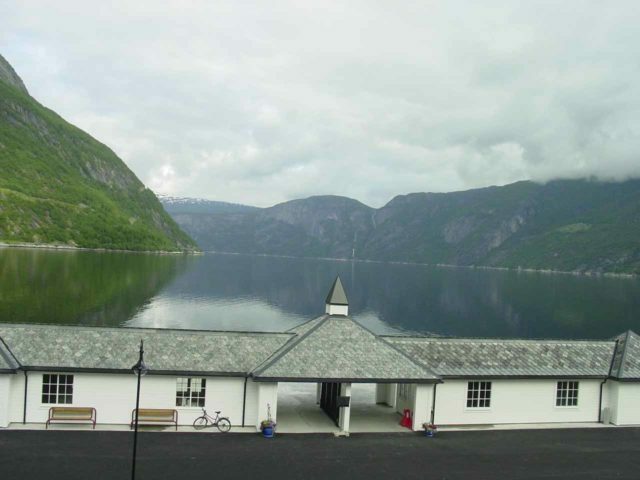 This involved going through a series of four tunnels east of Øvre Eidfjord (Upper Eidfjord) that I swore must have curved and criss-crossed above each other like the way roller coaster rides do. 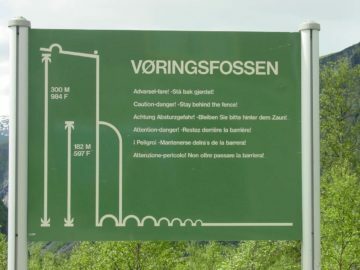 When we left the tunnel, the Rv7 continued further east, and that was when we started to pay closer attention to signs for Vøringsfossen. 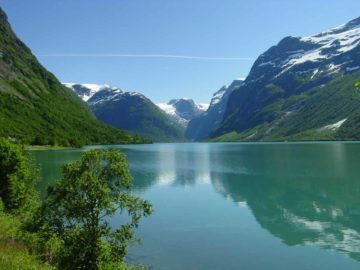 For context, Eidfjord is about 310km (4.5 hours drive) west of Oslo and 153km (2.5 hours with a ferry crossing) east of Bergen.